The simple beauty of integrated sustainable transport is captured here by RAFAA’s concept for a revamped bikeshare system in Copenhagen. Photo courtesy of RAFAA. Copenhagen has often been featured here for bike-related fun. From a suburban cycle super highway to an urban bicycle library, Denmark’s capital has truly established itself as a biker’s paradise for its good deeds done for pedals. 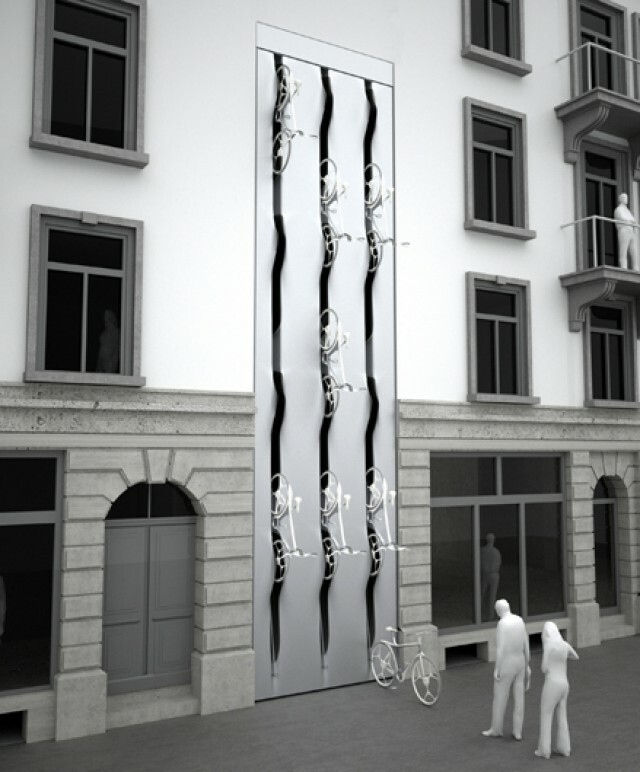 A Swiss firm wants to solidify that top spot with some gorgeous new concepts for bikesharing stations, removing the intermediaries between wheel, dock and road. This system design is just plain cool: each bike will be equipped with Wi-Fi and GPS, made interactive with a monitor betwixt the handlebars, providing seamless navigation. 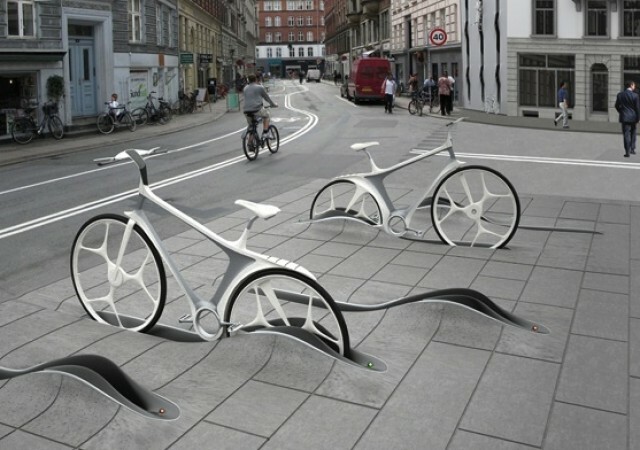 Rafael Schmidt of RAFAA crafted this bike sharing system that sports futuristic looking bikes, whose stations will avoid cumbersome docks and either meld into the ground, scale up walls, or sink beneath the street surface. 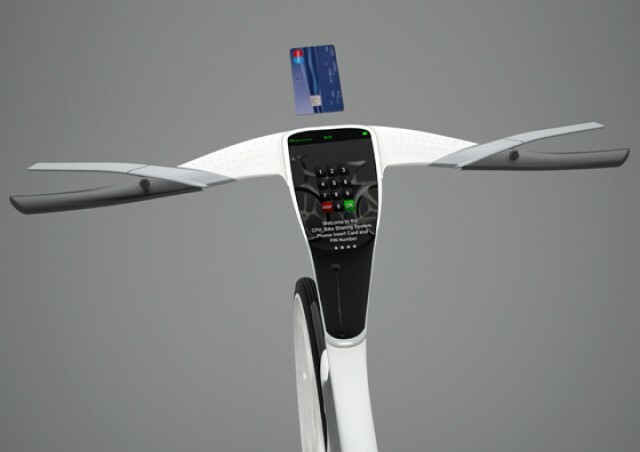 The elegantly designed bikes feature chainless pedals and a pay system built into the bike itself, rather than at a station hub. As it stands now, the ByCyklen bikeshare system is widely spread and technically free, with a deposit of 20 Danish kroner (about US$3.50). According to the design team, if Copenhagen is to reach “50 percent of all trips [made by bike] by 2015, approximately 25,000 bicycles have to be integrated into the urban fabric…need[ing] 20,000 square meters of storage space.” RAFAA’s bikeshare would be ceaselessly cool and allow for that space by integrating these waifs of bikes into, above and below the urbanscape. Bikes being “driven” up the wall. Photo courtesy of RAFAA.